Months later as I write this, I still can’t figure out whether I really liked Valparaíso or whether it’s destined to fall away in my memory as just another stop on the way. 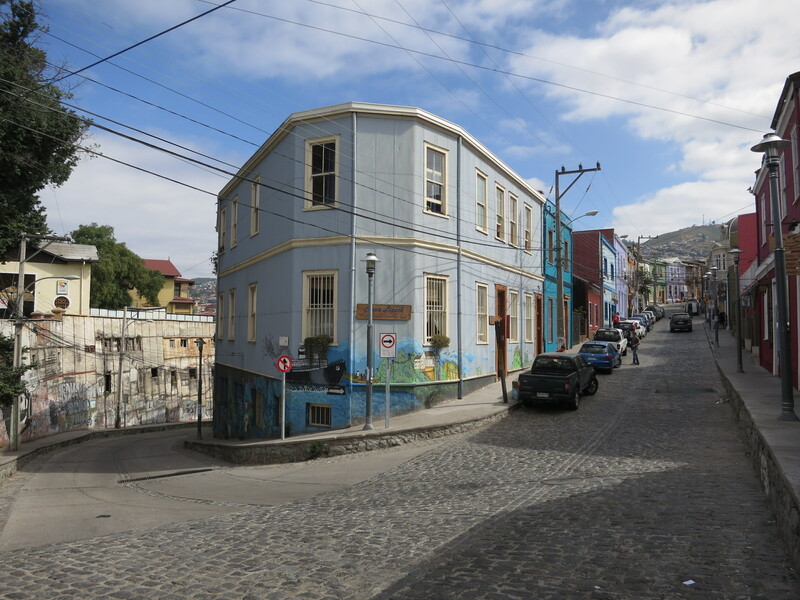 I definitely liked the bright, colourful houses: corrugated iron constructions made of unloaded ballast from ships that, in Valparaíso’s bigger boom times, landed with other goods that otherwise unbalanced the cargo. The iron was thus an unwanted (and therefore free) material, and the colours, our effervescent walking tour guide told us, are from the leftover paint that the shipping lines used to paint their vessels. I liked the hills, too, in a sort of gleefully masochistic way. The entire city, pretty much, consists of a conglomeration of actually quite separate neighbourhoods who just happen to be in close proximity – each perched on the sides and top of one of the many, many quite steep hills that line the coast. They’re impressively good exercise – except if you cheat and use the funiculars – and they give the city a lot of character, giving each area a distinct identity that more geographically homogeneous cities don’t always develop. The colourful street art is charming and, I’m told, frequently references some quite involved stories for reasonably complex local meaning. Such as the “chicken on the bedside table” mural we saw, which apparently describes a distinctly local way of referring to sexual liaisons between workmates: a tryst which occurs during lunch breaks, necessitating the provision of food along with by-the-hour accommodation. ‘El pollo al belador’: “chicken on the bedside table”. A mural in Valparaíso. I also particularly liked one of the cafés we located: Baker St Café, on Cerro Concepción. The presence of a good café is always going to be a big plus in my books. And I was fascinated to see a city that suffered such a dramatic decline after a long reign as a prosperous power in South America, falling from grace after the opening of the Panama Canal as it was no longer needed as a convenient stopping point for ships before or after rounding Cape Horn on their journey from one side of South America to the other. 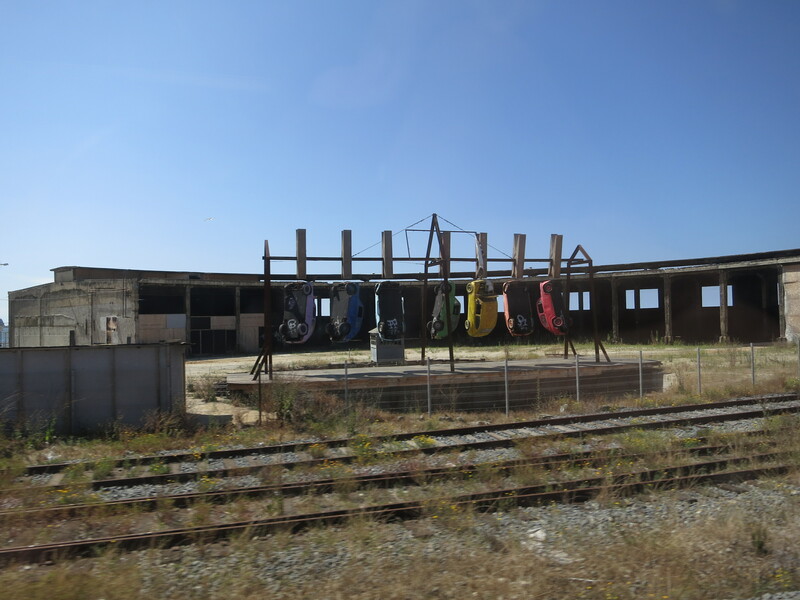 It was especially interesting that no one seemed to have seen that coming: we walked past the decrepit shell of a hotel which was abandoned before completion because the town died and has remained that way over the several decades since, unsold and unsellable. How could they not have predicted that the growth wasn’t going to continue? Did no one tell them about this fancy new canal over the many years it took to construct? But, cool as much of it was, Valparaíso had its downsides, too. It smells like piss in a way that few other cities can manage. Not in the way that Bangkok just smells like an open sewer. But definitely a stale urine sort of whiffiness that’s not entirely pleasant, and is slightly hard to ignore. 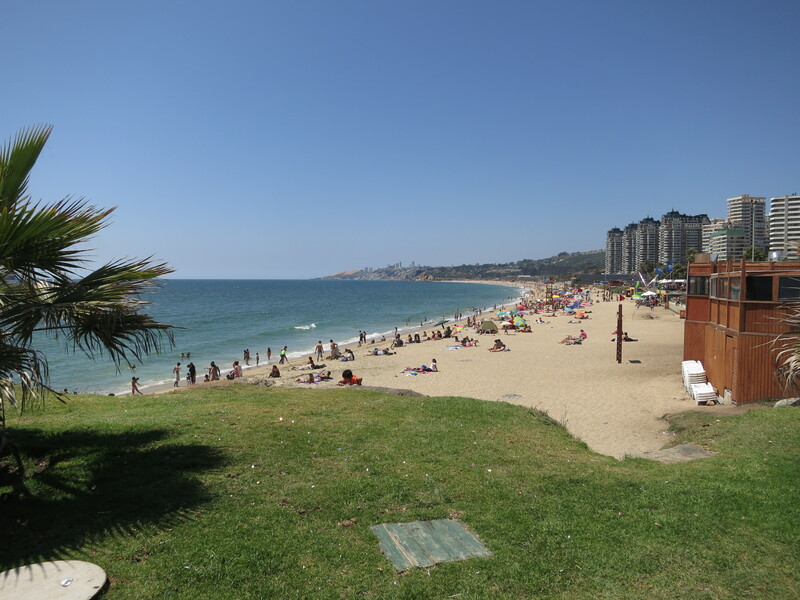 Viña del Mar: a disappointed Chilean Gold Coast in the making? And Viña del Mar, the beach strip a short metro-style train trip away, has a lot of the tacky aspects of being Chile’s very own Gold Coast in the making, without convincing me that it has the aspects that make the tacky bits worthwhile. At the end of the day, who knows? 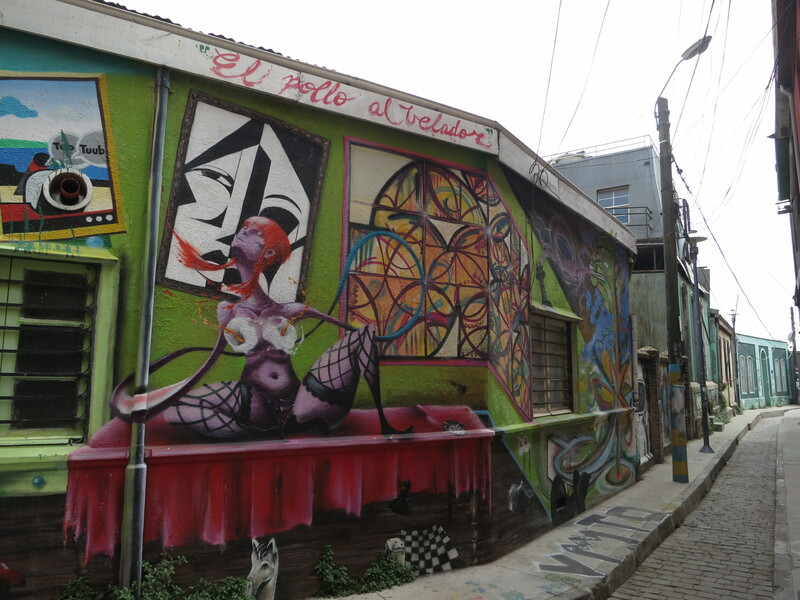 We were only in Valparaíso briefly, and maybe just not long enough to get a good enough feel to pass judgement. Maybe it’s just somewhere I’ll have to return to. Or maybe a quick reminisce with some colourful photos every so often is enough, sandwiched between memories of the thieving excitement of Santiago, and the singular uniqueness of our next stop: Easter Island. This entry was posted in Travel and tagged chile, valparaiso by Sam Roberton. Bookmark the permalink.